Video content has the power to be one of the best assets on your website. From new product demonstrations to animated explainer videos, facility tours or customer testimonials, it’s a vibrant and engaging form of content that can enhance the customer experience, build brand awareness, encourage retention and generate leads. 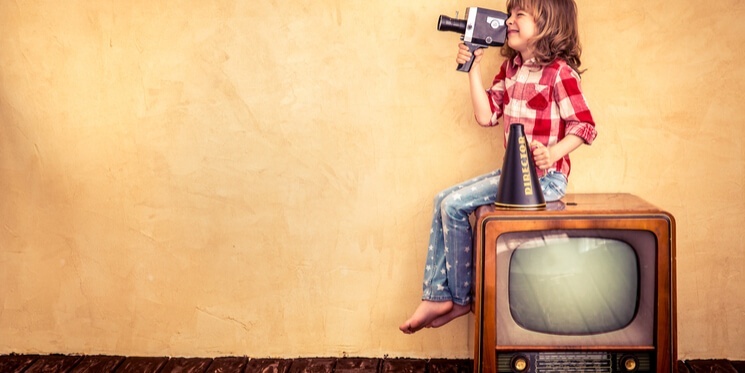 In a recent Hubspot Content Trends Survey a staggering 54% of respondents voted video as the form of content they most like to see from a brand or business. And in a similar study from Forbes, 59% of executives agreed that if they were given the choice of reading text or viewing a video to explain the same topic, they would be more likely to choose video. All of which is great news for UK high tech and manufacturing industries who are fast developing a reputation as leaders in new video creation for B2B marketing. So what is it that makes video such a popular medium? A well-crafted video tells a story. It gives your prospects a “peek under the lid” of your company. It’s an opportunity to share what’s unique about you and it adds a human element to your product or service. What’s more, the combination of visual and aural stimulus helps to deliver messages more effectively, and leaves a more memorable impact, than even the most succinctly written content can do. Video gets to the point. Video is easy to consume, it’s a proven medium to simplify complex ideas, and it helps your prospects to get educated about your products. Timing is everything though. In a recent Animoto marketing survey, nearly two thirds of respondents said they preferred a video that was 60 seconds or less. And perhaps not surprisingly, the shorter the video the higher the retention rate. While the average video tends to keep 37% of viewers engaged right to the end, videos that are 90 seconds or less average a 53% retention rate, At the other end of the scale, videos of 30 minutes or more result in just a 10% retention rate. Video strengthens your authority. Video can build trust and help to position you as a thought leader in your industry. It communicates to your prospects that you’re a knowledgeable brand, with an eye for technological trends and an understanding of consumer preferences. And the more that you’re perceived as an expert or innovator, the more your prospects will want to come back for more and move further through the buyer’s journey. It sparks action. Video can strengthen your existing inbound marketing activities by boosting conversions. The inclusion of video on a landing page for example has been demonstrated to increase conversions by 80% or more. And just over a third of businesses are using intermediate or advanced analytics which enable them to dig down into the specifics of interaction, attention span, retention, how the videos are attributing to the sales pipeline and how that’s impacting on revenue. So once you’ve identified video as a powerful means for communicating your story, how can you select the video production company that is the best fit to tell it? They have a track record. They’ve produced similar projects before and to a high standard. They’re interested in you. They understand your vision and they get your brand. They’re enthusiastic about your project and they’re excited about helping you to deliver your message in an innovative and impacting way. They can offer creative input. They’ve got the industry experience to help you to create your storyboard and script. They know how to get the best out of your presenters and to put them at ease. They’re results-focused. They understand what it is you’re trying to achieve. They can work to a deadline, keep to budget and deliver what they promise. More and more manufacturing companies are recognizing the power of video as a compelling B2B content marketing tool. Video is informative, digestible and easily accessible. It helps to build trust and establishes authority. And it's a proven method of achieving higher engagement with your prospects, speaking to their needs and converting them to customers.